Ferraris were the top three results at the Amelia Island 2018 auctions but seven Porsches sold for more than a million dollar. Gooding was the top-performing auctioneer. Although the top two cars failed to sell at the Amelia Island 2018 auctions, the sales were quite successful with sell-through rates up for Bonhams, Gooding and RM Sotheby’s. The number of high-end cars on offer was down but 22 cars sold for over a million dollar. 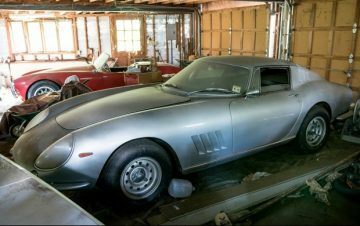 The top results above $2 million were for a 1966 Ferrari 275 GTB Alloy, a 2003 Ferrari Enzo and a 1966 Ferrari 275 GTB Long Nose while a 1967 Ford GT40 just missed that mark. Seven Porsches, three Mercedes Benz 300 SLs and three Shelby Cobras sold for over a million dollar. As expected, total earnings at the Amelia Island classic car auctions were down in 2018. Bonhams and Gooding both earned more in 2018 while RM Sotheby’s earnings were significantly down mostly due to a lack of high-end cars. In 2017, RM Sotheby’s had a special extra sale day for the 60 cars of the Orin Smith Collection in which a further $31 million was earned. * Excluding the Orin Smith Collection (second auction day in 2017). Gooding was the clear winner of the 2018 Amelia Island auctions. It was the only auctioneer offering cars with a pre-sale estimate above $3 million at Amelia Island and despite both failing to sell, Gooding had a magnificent sell-through rate of 94% and total earnings well up on the 2017 figure. Gooding sold 14 cars for over a million dollar, had the two highest results and seven of the top ten. Bonhams also increased earning significantly from last year, although it remains the smaller player at Amelia Island. Bonhams brought only three million-dollar cars to Amelia Island and only the 2015 McLaren P1 sold. RM Sotheby’s Amelia Island 2018 earnings were significantly down from 2017, even if the Orin Smith Collection is discounted. However, RM Sotheby’s performed well with a higher sell-through rate and only one car on offer with an estimate above $2 million. Remarkably, none of the results at Amelia Island 2018 was high enough for inclusion in the list of the ten most-expensive cars of 2018. Note: Include auction premium, some deals might have been post-hammer. Highest bids as reported by Hagerty. The Amelia Island auctions showed that there is still considerable interest in good cars for below a million dollar or slightly above. With only two $5 million plus cars were on offer it could not provide much information on the top end of the market even with both failing to sell. 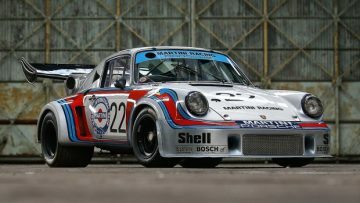 The 1974 Porsche 911 Carrera RSR 2.1 Turbo is of some historic significance but many may feel the $5.4 million bid should have been enough to buy the car. Very few Porsches have ever sold for more. Similarly, the 1956 Ferrari 410 Superamerica Series 1 Coupe is a rare car but there certainly are more attractive Ferraris available at $5 million. Although the number of million-dollar cars sold at Amelia Island in 2018 is almost the same as a year ago, the type of cars on offer changed drastically. In 2018, Gooding was the only auctioneer with two cars estimated to earn more than $3 million with only a further five expected to sell for more than two million. In 2017, two cars sold for over $3 million and five for over $2 million with a further five cars failing to sell despite bids higher than $3 million. 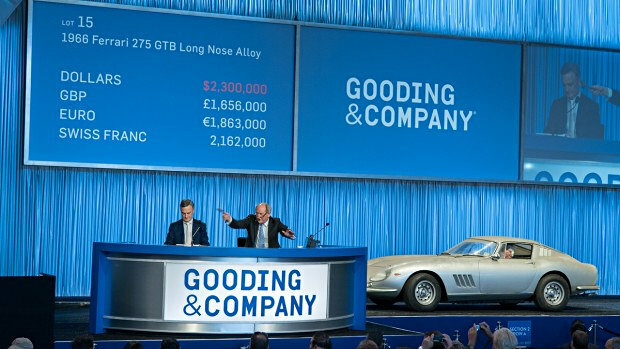 The top result at the Amelia Island 2018 sales was $2,530,000 for a 1966 Ferrari 275 GTB Long Nose Alloy at Gooding. This Ferrari was a garage find that spent nearly three decades unmoved in a garage in the USA. It is considered highly original and in a fairly good condition, if dusty, but will require some expense to return it to the road. The second highest result was $2,365,00 for a 2003 Ferrari Enzo also at Gooding. This Enzo in Japanese specification was federalized for use in the USA. It has only 1,600 miles on the clock. 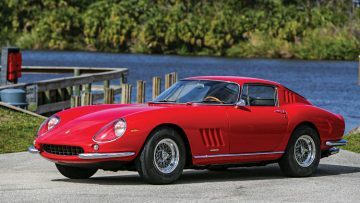 A steel-bodied 1966 Ferrari 275 GTB for $2,205,000 was the top result at RM Sotheby’s Amelia Island 2018. A good car but without any special history or distinguishing features to lift it above the average 275 GTB. 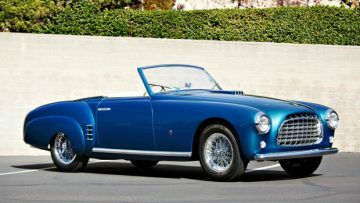 A stylish 1952 Ferrari 212 Europe Cabriolet at Gooding sold for $1,600,000 in a post-hammer deal. This cabriolet is one of only two made by Ghia. Only two further million-dollar Ferraris were offered at Amelia Island 2018: the 1956 Ferrari 410 Superamerica Series 1 Coupe that failed to sell with a highest bid of $3.9 million and the 1973 Ferrari 365 GTB/4 Daytona Spider that had the highest bid at Bonhams of $2.2 million. Amelia Island is traditionally a good venue for selling Porsches and nearly a hundred were on offer in 2018. At Gooding, 40% of the lots were Porsche while RM Sotheby’s had a special collection of a dozen Porsche 964 models on offer. RM Sotheby’s further announced during the Amelia Island week that a special Porsche-only sale will be held end October in Atlanta to celebrate the 70th anniversary of Porsche. Somewhat, ironically, the top Porsche failed to sell with a bid of $5.4 million – by far the highest bid of the auction series. The 1974 Porsche 911 Carrera RSR 2.1 Turbo offered by Gooding was the first turbo-engined Porsche entered into Le Mans and finished the 24 Hours race second overall. Although bidding stopped not far below the estimate, the seller was clearly hoping for more than buyers were willing to pay for this car. 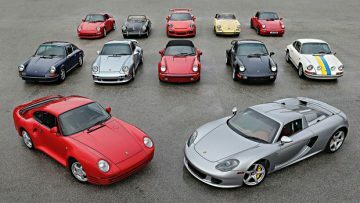 Other Porsche cars fared better – seven sold for over a million dollar. Low-mileage cars treated as collector objects from the beginning achieved strong results. The top Porsche result was $1,760,000 at Gooding for a 1993 Porsche 964 Turbo S Leichtbau with only 100 km on the clock – an auction record for the model. The low-mileage 1993 Porsche 911 Carrera RS 3.8 sold for $1,655,000 while the 1993 Porsche 911 Carrera RSR 3.8 achieved $1,270,000. Both cars were sold from the same collection by RM Sotheby’s. Both cars are yellow, one of only 55 produced, originally sold in Japan and in the USA on special racing / display permits. 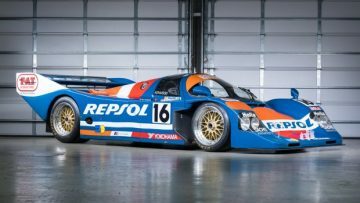 The 1990 Porsche 962C sold for $1,595,000 as the top racing Porsche result. The car was campaigned by the Swiss Brun Motorsport team. It started Le Mans in 1990 from the front row and was leading the race when engine failure forced its retirement 15 minutes from the end. A 2015 Porsche 918 Spyder sold for $1,540,000 – an unspectacular result but with 2,500 miles on the clock showing that similar cars sold for more due to lower mileage. 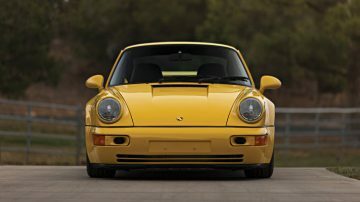 A 1996 Porsche 993 GT2 sold for $1,485,000. It is one of only 194 road-legal version built. However, it is not allowed on the road in the USA and will require a show / display permit if kept in the USA. It has covered only 9,700 km from new. A 1976 Porsche 934 sold for $1,320,000 – another auction model record. This car is one of only 31 Porsche 934 cars built. Its impressive in-period racing history included winning the 1978 FIA Group 4 Championship. A 1987 Porsche Komfort sold for $1,100,000 – helped by original condition and low mileage of 7,499 km since new. The top result for an American car at the Amelia Island 2018 auctions was $1,925,00 for a 1967 Ford GT40 Mk IV, chassis J-12. This was the final of only 12 Mark IV chassis built. It was sold as a bare tub by Ford around 1970 and remained as such until Rod Leach had it rebuilt with period spares and a correct 427 Ford engine in the mid-1980s. Gooding sold three Cobras for over a million dollar. 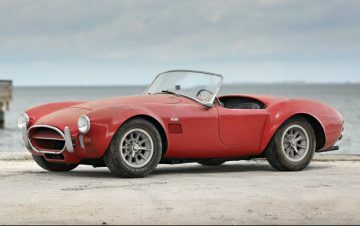 A 1966 Shelby 427 Cobra in mint condition achieved a premium of more than $400,000 over a garage-find similar model. Buyers are clearly no longer willing to pay a premium for these cars that will require additional expense to bring back to the road. A 1967 Shelby 289 Cobra also sold for just over a million at Gooding while a highest bid of $900,000 at RM Sotheby’s was not accepted. 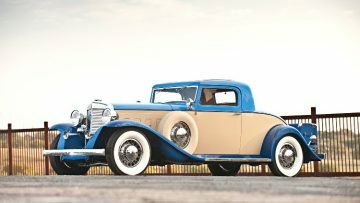 RM Sotheby’s achieved $1,050,000 on a 1931 Marmon Sixteen Coupe by LeBaron – only the fourth car of the marque to sell for over a million dollar. A 1930 Duesenberg Model J Imperial Cabriolet by Hibbard & Darrin just missed the mark with a result of $995,000. Three Mercedes Benz 300 SL cars were offered at Amelia Island 2018 and all three sold for above a million dollar. It seems owners are now willing to accept results just above a million – premium included – for cars that are less than perfect or without special distinguishing features or interesting histories. 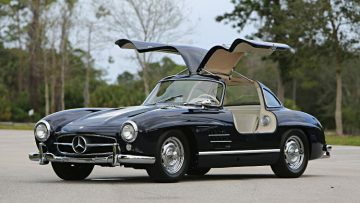 The 1957 Mercedes Benz 300 SL Roadster ($1,094,000) and 1956 Mercedes Benz 300 SL Gullwing ($1,077,500) sold at RM Sotheby’s Amelia Island 2018 were from the same owner who had the cars restored for driving rather than displaying. 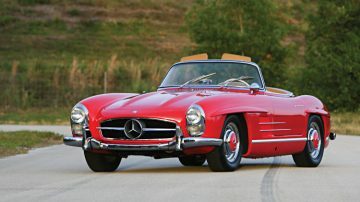 The 1958 Mercedes Benz 300 SL Roadster at Gooding ($1,072,500) was similarly a recently restored car in fine condition. Many pre-war cars sold for well below estimate at the Amelia Island auctions but RM Sotheby’s had a good result of $1,270,000 for the imposing 1930 Isotta Fraschini 8A S Boattail Cabriolet by Castagne. 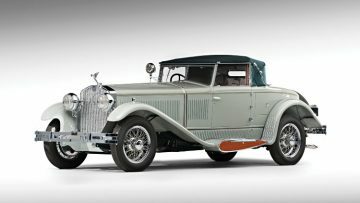 It is one of only three surviving Isotta Farschinis with coachwork by Castagna. 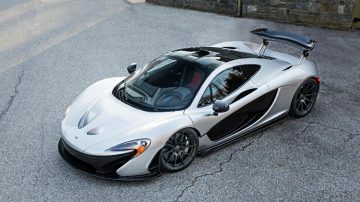 Bonhams top result was $1,710,000 for a 2015 McLaren P1. Although the car has covered only 360 miles since new, the price paid was the lowest of the eight P1s sold at public auction since 2015. Gooding had a similarly weak result at Scottsdale 2018 hinting that the exorbitant prices paid for the first cars offered at auction may be at an end. The next auction series where Bonhams, Gooding and RM Sotheby’s will all participate at the same time will be Monterey Week end August 2018. RM Sotheby’s and Bonhams will have several further auctions and both will be present at Monaco in May 2018. For more details also see the Amelia Island 2018 results for RM Sotheby’s and Gooding.